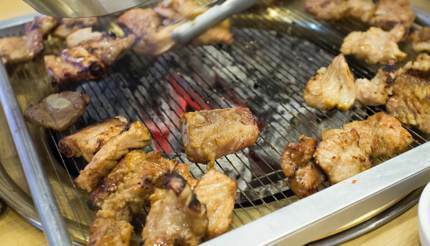 Garlic, ginger and chilli are the main contenders in many of the dishes you’ll find in Seoul. 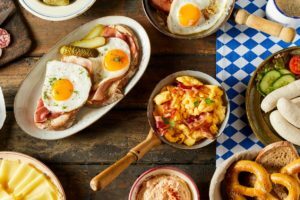 Whether you’re enjoying a simple street food snack or devouring a traditional South Korean meal, food in Seoul is steeped in flavour and will leave you wanting more. This Seoul food and drink guide gives you a culinary tour of the city, showcasing some of the best things to feast on while you’re there. Made from simple ingredients, this traditional South Korean dish comprises a bowl of white rice topped with various vegetables and meats, chilli paste, soy sauce and soybean paste. A fried egg usually completes the ensemble. Where to try: Gogung Myeongdong (27 Myeongdong 8ga-gil) offers authentic South Korean Bibimbap made with fresh ingredients – a definite must-try. 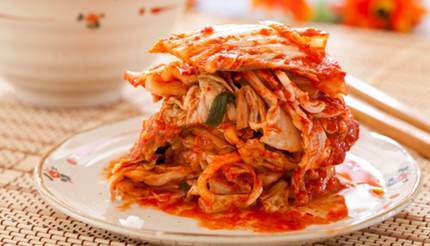 No Korean meal is complete without kimchi – fermented cabbage seasoned with salted seafood, garlic, ginger and chilli. This classic side dish adds a tangy punch to any meal and is a staple in Korean cuisine. Where to try: Yongsusan’s (Jongno-gu, B1F Seoul Finance Centre) signature dish is their Gaeseong-style wrapped kimchi. The kimchi is combined with seafood and wrapped in a cabbage leaf before being placed in a fragrant beef broth. 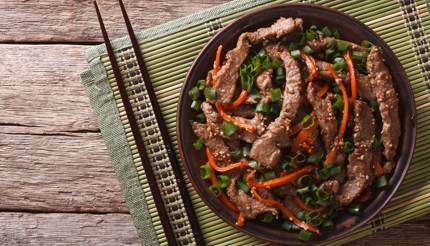 Bulgogi, or Korean BBQ, is a true do-it-yourself affair and one of the most popular dining experiences in Seoul. Thin slices of raw marinated beef are presented to the table with an assortment of vegetables and other side dishes. 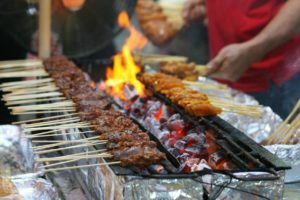 The meat is then cooked over a table-top grill or a flame BBQ. Where to try: The bulgogi at Seocho Sariwon (1321-7 Seocho-dong) is simply mouth-watering. The meat is marinated in fruit juices, garlic and onions to give it a unique and succulent flavour. Seocho Sariwon also has an extensive wine menu so you can find the perfect pairing to your bulgogi meal. 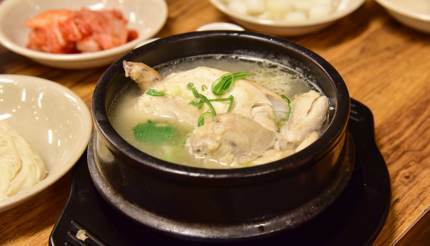 Samgyetang, also known as ginseng soup, involves cooking a whole chicken stuffed with ginseng, jujube and rice in rich broth for several hours. The resulting soup is extremely flavourful and the entire culinary experience is incredibly comforting. Where to try: Tosokchon Samgyetang (5 Jahamun-ro 5-gil) offers what is arguably the best samgyetang in Seoul. These beef short ribs are typically served raw and then cooked on a table-top grill before eating. The tender meat is prepared by using a marinade of soy sauce, sugar, garlic, ginger and sesame. Where to try: Byeokje Galbi (467-29 Dogok-dong) is famous for quality beef – which they rear themselves – and their short ribs are perhaps one of their most popular dishes. 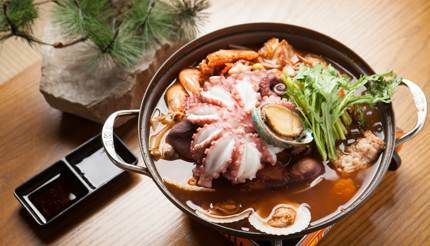 Haemultang is a traditional Korean seafood stew cooked in a spicy broth. Onions, bean sprouts and mushrooms can be added to the stew for additional flavour. Where to try: Myeongdong Eomeonijip (11-6 Myeongdong 8-gil) is extremely well-liked, and it’s easy to see why: each stew is served bubbling and piled high with seafood. 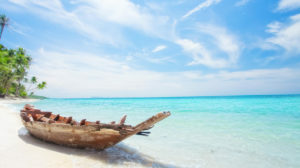 The place is tucked away and easy to miss, so keep your eyes peeled and follow your nose. 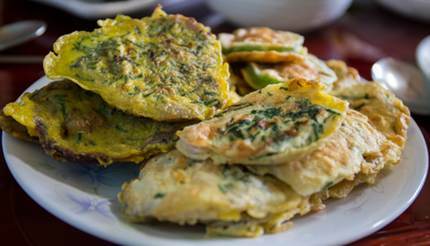 These savoury pancakes typically involve a mixture of meat and vegetables that are combined with a flour and egg batter. This is then fried in oil to create a crispy and moreish meal. Where to try: The thick pancakes at Nakseo Pajeon (319-40 Hwigyeong-dong) are packed full of flavour and make for a very satisfying meal. 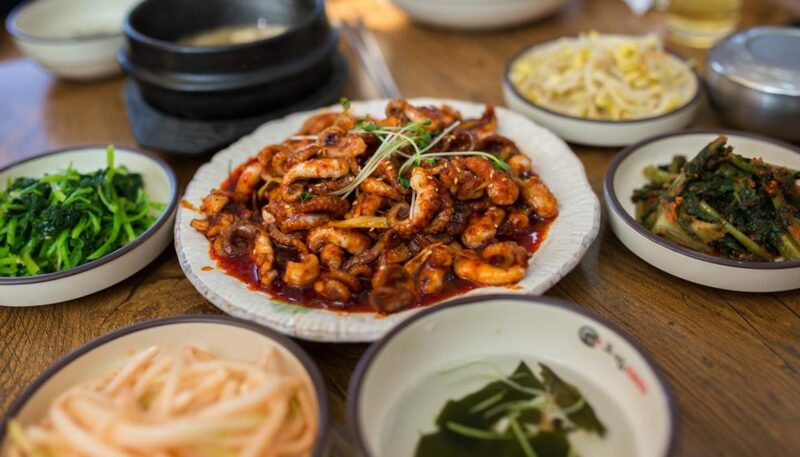 Try their seafood or kimchi variety for an authentic taste of Seoul. This much loved Korean street food consists of chewy rice cakes that are stir-fried in chilli paste. The savoury, slightly spicy flavour makes tteokbokki the perfect snack and, as many South Koreans will tell you, they are a tried and tested hangover cure. Where to try: Hongdae Jopok Tteokbokki (60 Eoulmadang-ro) is a small, unimposing restaurant but don’t be deceived by its simple appearance: the tteokbokki is incredible, which is probably why it’s a favourite spot among locals. This spirit is made by distilling rice and has a similar flavour profile to vodka, but with fewer calories and lower alcohol content. 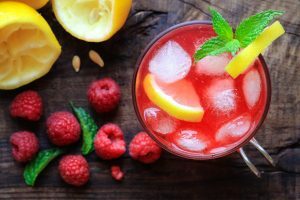 It is incredibly popular in Korea and consumed neat or as a base for a cocktail. 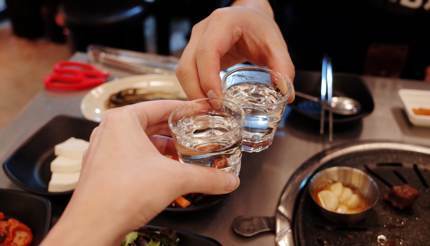 Where to try: Soju can be bought from most supermarkets and is served in many restaurants and bars throughout Seoul. Ginseng wine is Korea’s signature alcoholic beverage and is known for its energy boosting properties. Made from fermented ginseng, this wine is sweet and pairs well with ginseng chicken soup. Where to try: Tosokchon Samgyetang (5 Jahamun-ro 5-gil) provides complimentary ginseng wine to accompany their samgyetang.